For young dancers, overnight summer dance camps offer countless opportunities to learn new techniques, discover new types of dance, and absorb the spirit of dance in an intensive atmosphere. For many children and teenagers, overnight camps are the highlight of the summer vacation; for aspiring dancers, overnight dance camps have the same appeal on a personal level, and even more appeal in regard to activities because of their specialized nature. Overnight and daytime only dance camps exist in the summer in states all over America. Some specialize in one genre of dance (often ballet), while others feature the opportunity for dancers to try out a variety of new dance forms in addition to learning new techniques in dance forms they already practice during the school year. For example, a general dance camp may offer ballet, jazz and tap classes everyday, and then have a rotating class each day of the week: one day a workshop on Irish dance may be offered, and the next day a flamenco class. In this way, dancers develop their skills and expand their dance horizons at the same time. 8 Great Overnight Summer Camps in the U.S. Most young dancers will find dance camp to be an intensive physical experience. Dancers who are accustomed to dancing three afternoons a week after school, and even ones who dance everyday after school, can become quickly overwhelmed by the schedule of dance camp. Most overnight summer dance camps have at least two classes before lunch and at least two classes after lunch-usually more than this. For young dancers, this can take some getting used to. Dancers should work hard to get a full night's rest each day, and eating healthy meals and drinking enough water is extremely important. There are tons of dance camps available around the country. Most dancers stay in their home state to go to dance camp in order to reduce transportation costs and because parents are often more comfortable with this. However, if you're interested in really traveling to a summer dance camp, you may find one of these famous dance camps attractive. This camp, with several locations across America, considers itself to be the ultimate summer dance camp. The standard daily dance classes are in hip hop, jazz, and musical theatre dance, and the electives are several, including ballet and tap dancing. With a wide array of dance styles offered, this camp has something for everyone. A two-week summer intensive dance camp for experienced dancers, Endless Mountains is just one of many camp programs offered at the facility. Because several other camp programs are offered, the administration process is smooth and the facility is state-of-the-art. Campers can attend only the two week dance intensive, or choose to attend other camps as well, such as the theater arts program, which complements the dance program very nicely. 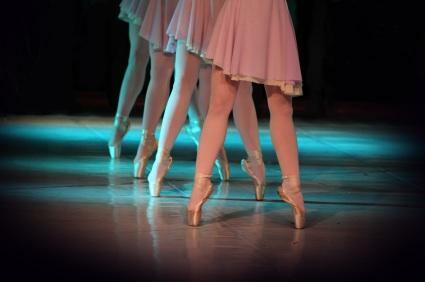 The Boston Ballet is an illustrious ballet dance camp offering both a commuter and an overnight camper option. Students participate in five to six hours of classes per day, and on select evenings, additional programming exists. The summer intensive program is five weeks, and costs $2,800 for the tuition, and an extra $2,300 for room and board should you choose to stay on campus for the five weeks. This summer camp requires an audition. Expect to see prices hovering around $1,000 per week of overnight camp. Of course, prices differ depending on the location and facilities of the camp, as well as on the type and amount of staff working at the camp. Expect to pay more for more prestigious locations and teachers. A note to parents: dance camp is expensive, but dancers usually rave about the experience!